NORWALK, CT – August 30, 2017 – Inc. magazine has, for the third time, recognized Irving Levin Associates on its annual Inc. 5000 list, an exclusive ranking of the nation’s fastest-growing private companies. Irving Levin Associates was the only media company in the state of Connecticut to make the Inc. 5000 list. The average company on the list achieved a mind-boggling three-year average growth of 481%. Companies such as Microsoft, Dell, Domino’s Pizza, Pandora, Timberland, LinkedIn, Yelp, Zillow, and many other well-known names gained their first national exposure as honorees of the Inc. 5000. 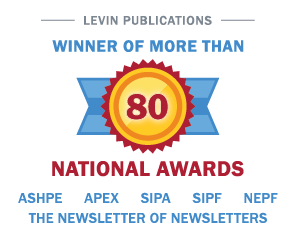 Irving Levin Associates, Inc., headquartered in Norwalk, Connecticut, is the leading publisher of business intelligence for investors in the senior care and healthcare merger and acquisition markets. Since 1948, this privately held corporation has provided Wall Street investors and senior and health care operators with market intelligence not found in mainstream media outlets through financial newsletters, research reports, webinars and merger and acquisition databases.